Derek Howells, Ogmore Vale Primary School Caretaker, views the completed Archive in the North (Junior) Corridor. 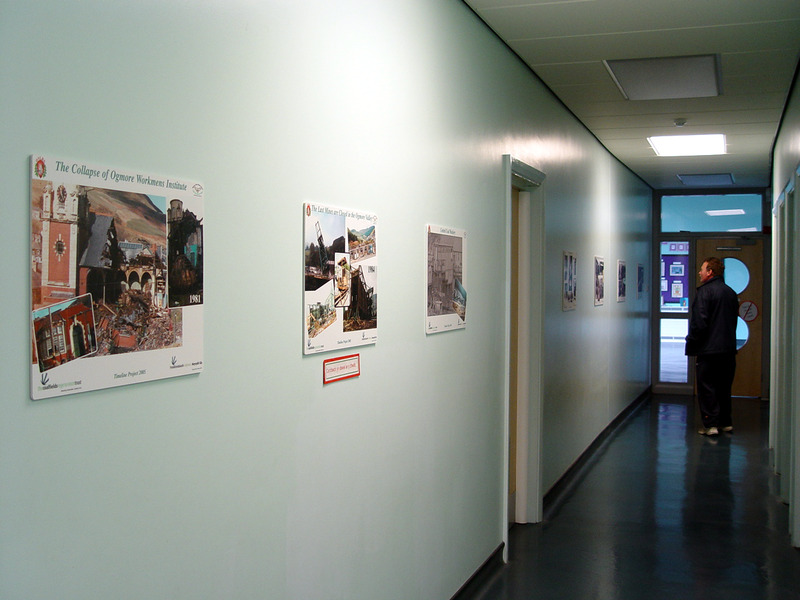 The plaques were installed in the school on 01st April 2005 and are viewable by appointment with the head teacher. Please contact the school directly for details. 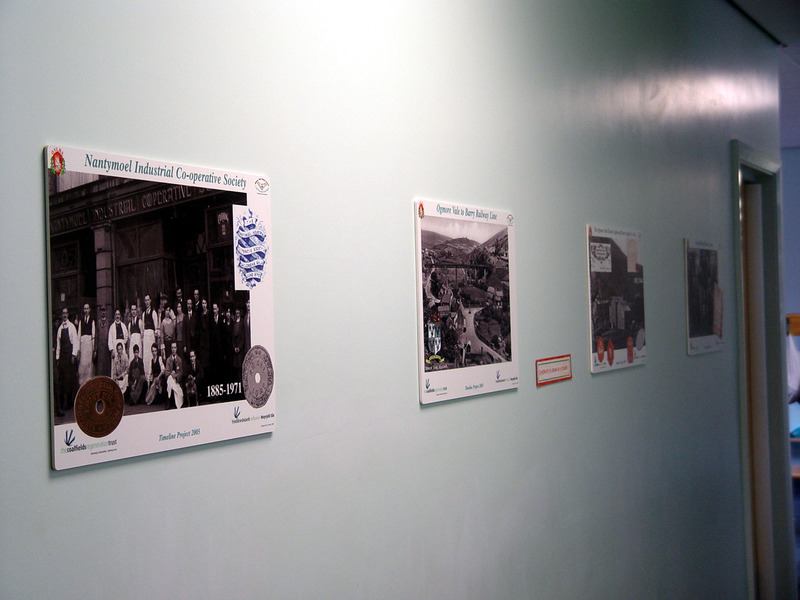 The “Timeline Plaques” are a series of Museum Quality Encapsulated Information Boards charting the history of the Ogmore Valley from the Ice Age to the building of Ogmore Vale Primary School in 2003. The plaques were designed by the Secretary, Huw Daniel with expert assistance from the head teacher, Mr Paul Booth, NPQH, BA (Hons), Mrs Cath Thomas and Miss Helen Jones and professionally manufactured and installed by “Semaphore Ltd” of Bessemer road, Cardiff on 01st April 2005. The Society is once again indebted to the “Coalfields Regeneration Trust” who have supplied 100% funding for this project, which will be permanently housed in Ogmore Vale Primary School and completes the third of the five phase “History” Project.